Brought to you from one of the UK's leading suppliers of alternative animal bedding, Easibed is a break through in dust free wood fibre equine bedding. Made from clean recycled wood, Easibed provides a comfortable, free-draining and economical bed for your horse to live on, and a healthy environment for you to work in. Easibed is also one of the greenest bedding products and makes a warm, comfortable, supportive, free-draining bed that stays dry on top. Horses on easibed also stay cleaner as it doesn't cling to manes, tails or rugs. 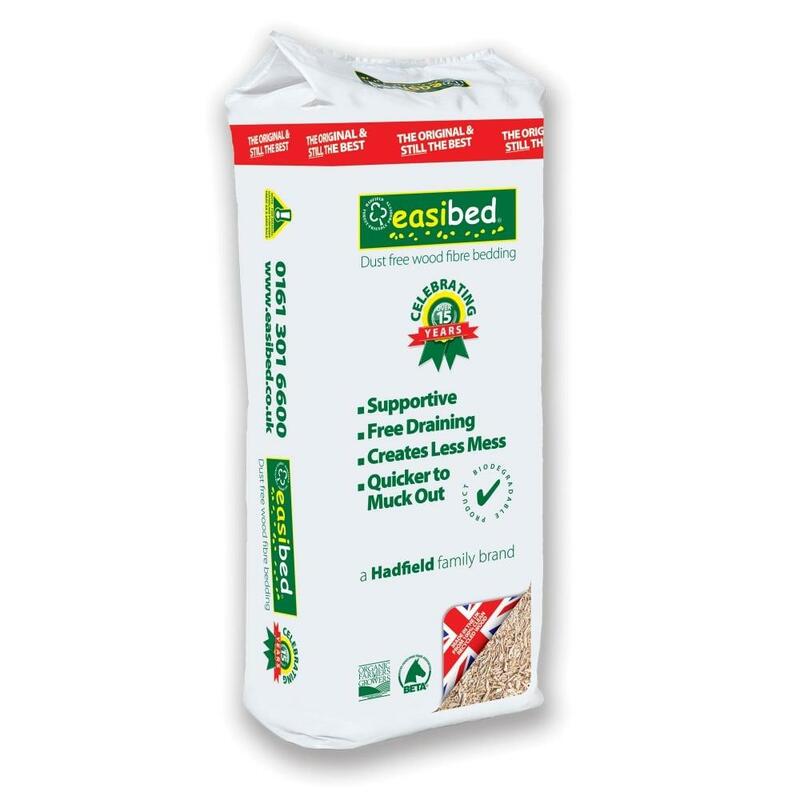 Easibed is economical to use as it is very quick and easy to muck out. It also generates a minimal amount of bedding for the muck heap, making it cheaper and easier to dispose. What's more, not only does easibed look great in the stable, but because it doesn't blow about, the yard stays tidier too.